I can’t think of many better first commercial pilot jobs that can beat flying for Mokulele Airlines. 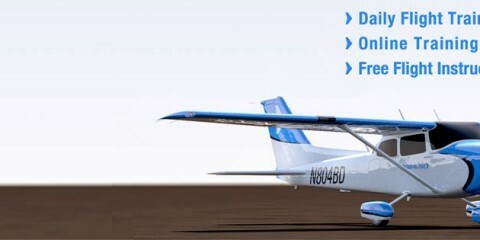 As a First Officer for Mokulele, you’ll see me flying brand new Cessna Caravans all around Hawaii. Better yet, Rod and Haley will be two of my captains! You guys have seen the three of us flying together for years, and now we’re finally working together. Over my last summer as a college student, I’ll be flying the line for Mokulele and producing a series of videos about the training process and lifestyle. If you’ve ever dreamed of becoming a professional pilot, this is one kind of job you can look forward to! 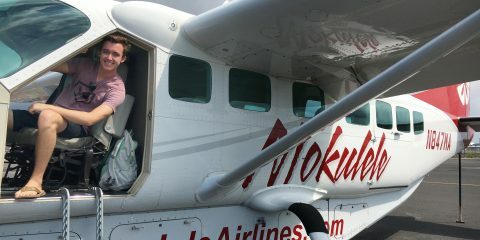 Mokulele Airlines is known as the “best little airline in the world,” offering flights between nearly every Hawaiian Island. It’s a scheduled Part 135 Air Carrier, and one of the only companies to require First Officers onboard the normally single-pilot Cessna Caravan. Because second-in-command pilots are required by their federal operation specifications, the SIC time is fully loggable. Mokulele operates over 20 G1000 equipped Cessna 208B Caravan EXs around the islands, and on a few select routes within California. Even cooler, Mokulele is probably the world’s only airline with its own surf team! Hiring at Mokulele changes by the week. It’s a small company, so when there’s a need for pilots, hiring waves comes quickly. If you’re interested in becoming a pilot for Mokulele, click here to see available job listings. In some cases, brand new commercial pilots with as little as 300 hours of total time have been hired by the airline. This isn’t always the case, but if you’re interested, don’t hesitate to send them an application! Pilots flying for Mokulele don’t just live in paradise, they get the benefit of nearly free travel around the world. If you work for Mokulele, you and some family or friends will gain standby access to many airlines for booking through ID90Travel. As a pilot, you also qualify to participate in the CASS Jumpseating, allowing you to fly inside the cockpit onboard many passenger and cargo airlines. Check out the articles below to see how much fun this airline really is.